You get to see all your friends again! 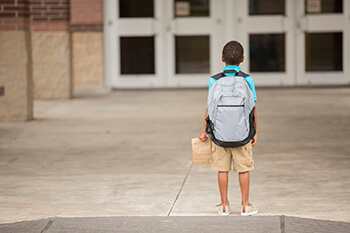 It was Shakespeare who said, “Parting is such sweet sorrow.” And he was right. The first couple weeks of school are the best time to catch up with your friends before the semester gets crazy. Plus, (at least in Texas), it’s still warm enough for pool parties and cook-outs, except now they involve your best buds. Win win! There’s something about starting a new semester with a clean slate that always makes me happy. It’s time to start afresh, try harder, and accomplish new tasks and goals. Get ready to punch Monday in the face! Hooray for learning new stuff! You don’t have to study the same exact thing all over again – it’s time to move on to something new. Raise your hand if you get burned out on a topic by the end of the semester. Unless, of course, you‘re a music major and have to take eighty thousand bajillion semesters of music theory and analysis. Put that hand back down, you traitor. This can be good or bad. Take your pick. Graduation. One day, it’s four years away, and the next, it hits you like a brick wall to the face. 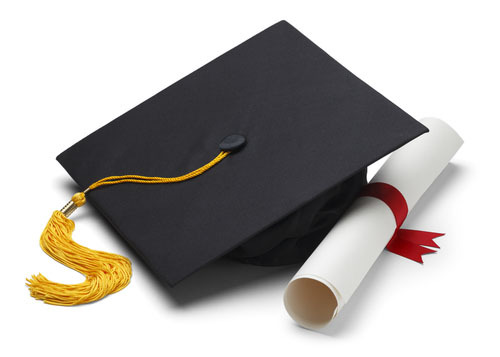 For me, the closer I crept toward graduation, the further away it felt. It was elusive, that coveted cap and gown. It was the end goal. But as my days at DBU come to a close, I realize that a degree is only half of it. The diploma, the tassel, the walk across the stage. All those things can never compare to the four years I spent making late-night food runs with friends, pulling all-nighters to study for exams, getting to know my wonderful professors, joining a sorority to be a part of a sisterhood, breathlessly trekking up the massive hills on campus to get to class, watching friends figure out their exciting futures right alongside me, and working at the Writing Center with my extraordinary coworkers to help students become better writers. All college students experience many of these wonderful things, but I’m fairly certain not many can claim “best job ever” on their W-4 forms (wait, you can’t do that?). My two years, three months, and one day at the Writing Center have been unimaginably exceptional. 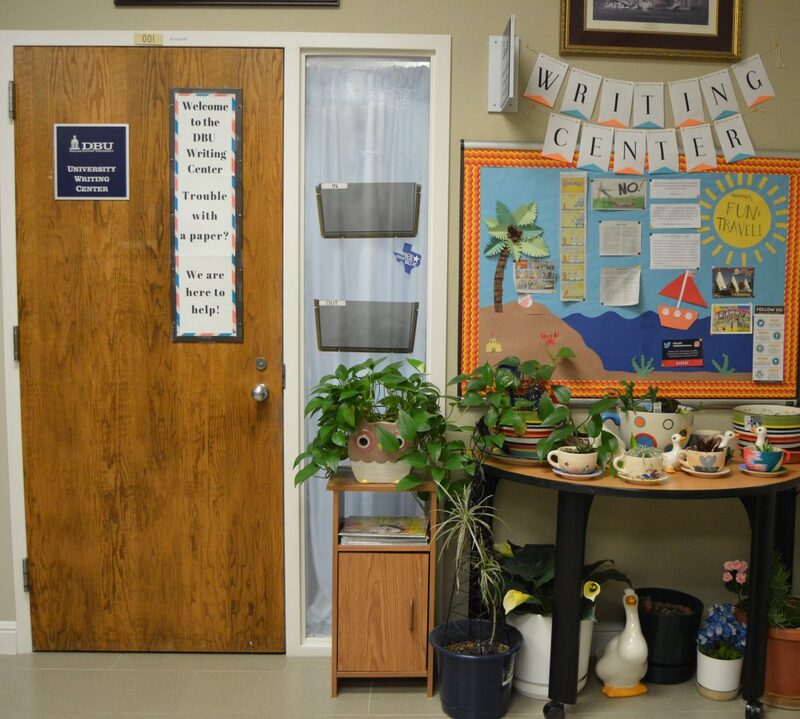 Working at the Writing Center has not been merely a job. It has been a privilege and an incredible experience. It’s hard not to look back on my years at DBU with wistful nostalgia. Just a mere four years has managed to transform me from the naive young girl I was in high school into the (slightly) more confident woman I am today. Four years has managed to change my perspective about many things, and four years has allowed me to forge unbreakable friendships and make unforgettable experiences. They say you don’t know how good you have it until it’s gone. I can now say that’s true. As my days left at DBU dwindle, I realize how truly good I had it. I had friendships, experiences, and responsibilities, and I wouldn’t trade any of them, good or bad. I’m going to miss walking up the monstrous hills to the LC (well, only a little bit). I’m going to miss seeing familiar faces as we all enter the chapel at 10am. I’m going to miss the bustle of midweek when the line to Chick-fil-a is out the door. I’m going to miss seeing the smiles of my Writing Center family as I walk in to start my shift. I’ve built up my life here at DBU, and it’s going to be hard to leave that life. But DBU—and the Writing Center—is a foundation to bigger things. DBU is a part of who I’ve become, a part of who I will be, and it’s time to take that new foundation into the future. It’s time to take what I’ve learned from my classes, my sorority, my friends, my organizations, and the Writing Center and take it into a future, albeit uncertain, beyond DBU Hill. Even in the midst of nostalgia and wistful reminiscences, I look forward to the things that are yet to come. So thank you, DBU. And thank you, Writing Center. I grew up reading Barbara Park’s Junie B. Jones books both at school and at home. Throughout elementary school, I devoured the series. As a six year old, my reading level was challenged by the books and my love for literature ignited. When I was ten, Junie B. Jones was a source of entertainment, and I loved that I could read a whole book in half an hour. A blissfully hilarious half hour, at that. Nowadays, I revel at the opportunity to read one of the books to a younger friend or cousin. I’m convinced this world would be a more relaxed, jolly place if everyone knew about Junie B. Jones and wasn’t shy about reading the books, no matter what age they are. Why are these books so beloved by me and readers around the world? I’m glad you asked. Though these books are filled with hilarious exploits and charming life-lessons, they aren’t on the low end of literary intelligence. The plot, the characters, the jokes, and the writing itself are all cleverly constructed. They are appealing to every age group. If anything, the series, though intended for children, contains humor more appropriate for adults. Junie B.’s honest outbursts and childish thinking patterns are detailed in an attention-getting, yet light-hearted manner which charms both children and adults. I was surprised when I learned that the first book in the series was released in 1992. When I first started reading them in around 2003, fresh books were being cranked out every year or so. It’s a series that transcends the bonds of time or place. Are you at home? Are you at school? In first grade? In college? Doesn’t matter. It’s Junie B. time. Even now, if I happen to be at my local library or am walking past a bookshelf that belongs to someone younger, when I see a Junie B. Jones book I feel compelled to pick it up and start reading. As a nineteen-year-old college student who has studied bits and pieces across the whole literary spectrum, this series still applies to my life and never fails to make me laugh. I’m convinced that in twenty, fifty, or a hundred years, those fortunate enough to stumble across the Junie B. Jones stories will be just as amused as the readers who delighted in the series upon their publication. 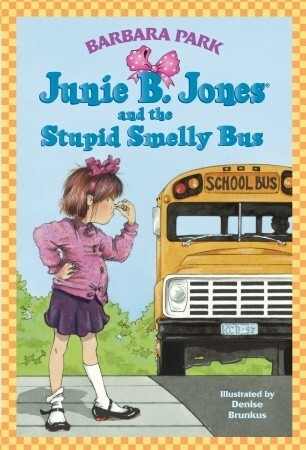 Since I probably have all of you convinced by now, allow me to recommend the perfect story for beginning your new reading adventure, Junie B. Jones and the Stupid Smelly Bus. So what are you waiting for? If you don’t want to live a happier, funnier, more joyous life, then by all means, don’t read these books. It’s summer time. What else are you doing? Go to your local library and if people look at you funny for wandering around the children’s section, just hold up a Junie B. Jones book. They will understand. I like to think of myself as an artist. Unfortunately, I haven’t been able to practice it in a while due to huge amounts of homework from classes. You college students know the struggle. Even though my hand-eye coordination might have faded due to lack of practice, knowledge about the technique still sticks around in my head. What’s been bouncing around in my skull most recently is color theory, which is how one mixes colors to achieve the target color, and how to use each color to complement another. It’s also how colors are perceived and how they can subliminally affect the viewer’s mind. 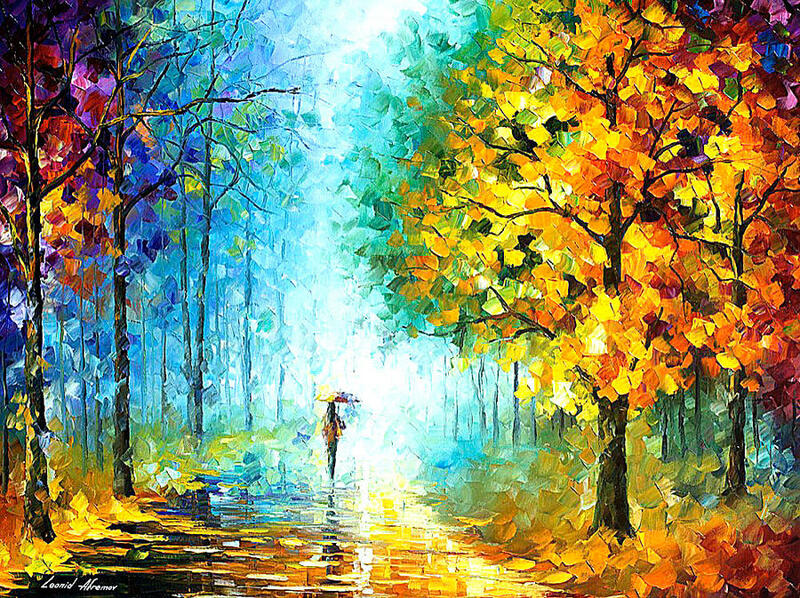 Each color has its own set of emotions it conveys. Red, for starters, represents anger, passion, hunger, and power. Purple stands for mystery, magic, and royalty. You can see advertisements utilizing colors in order to sell certain items; fast food chains do this all the time. Billboards with burgers surrounded by red makes the food more appealing, since red can make the viewer hungrier. Meanwhile, vacation resorts might stick with blues and greens, since they’re calm, cool colors that convey peace and harmony. Everyone has a favorite color. A lot of the time, this reflects certain traits about their personalities. For instance, since my favorite color is blue, it could be reasoned that I hold harmony and imagination high in value. My brother’s favorite is green, which is a color usually associated with hope, life, and nature; all of these are important to him and part of his personality. Those who favor red might be more passionate than others, and so on. At the beginning of the year, I was diagnosed with chronic depression. There are many myths and preconceptions about depression. Therefore, I had to figure out how to word the symptoms in a way that most effectively described exactly what I was going through, since sadness and suicidal thoughts are definitely not ways my depression manifests. In the end, the most accurate description I can come up with is this: the world loses its color. Sure, I can see colors as well as anyone else. But when it comes to perceiving them, there’s no passion in the reds, harmony in the blues, peace in the greens, or mystery in the purples. My brain physically struggles to convey emotions, and what’s left is grey. Grey is fine. Grey is grown-up, independent, and business-oriented, which is why you’ll see many businessmen and women in grey suits. But grey lacks what the other colors provide. Imagine two drawings of the same thing: one uses color pencils, the other uses normal, grey graphite. In the colors of the background, you can see a struggle between red-hot passion and the quiet blues over the subject, a girl. In the graphite drawing, there’s no struggle between the two emotions. The grey background blends together, and in the end, there’s only a girl standing there, simply… standing. The picture has lost the meaning and message it was meant to convey. The girl is still there, of course, and she can definitely be beautiful, but the picture lacks a whole dimension. One of the best ways to see colors again is to look for them. The warmth of a sunset, the waves of a lake, the emerald leaves of a tree, the ink on a sheet of paper. These things can lose their color if one forgets to stop and look. Every moment has colors swirling everywhere, and in the bustle of everyday life, they can be lost upon our busy eyes. This doesn’t just mean literal colors, either. If you enjoy a particular person’s presence, a good joke, or even a simple bowl of cereal in the morning, the color of the moment can be lost unless one pays attention. So, as I struggle to remember to stop, look, and remember to restore the color to my world, feel free to sit and join me. Don’t forget what colors are like. Push back the grey. Enjoy each moment, mixed with all the color and emotion that comes with it. Each moment is a valuable painting, and we can preserve it if we remember to stop and look.